A number of trends in the UK housing market have been bubbling below the surface for quite some time now. 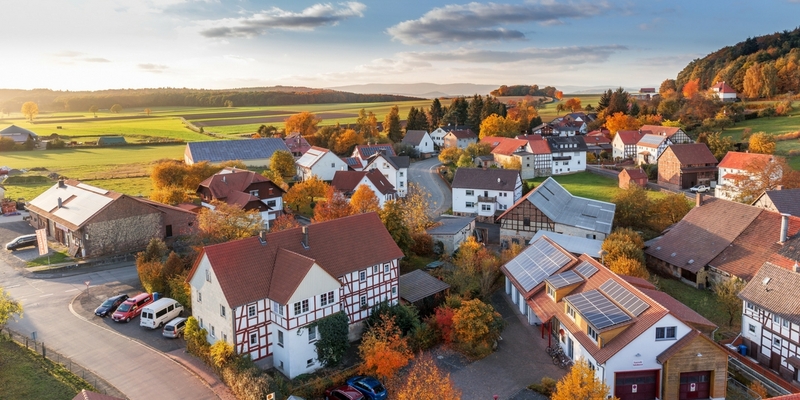 With traditional investors and news publications focusing on cities in the UK, many have overlooked the transformation that many villages are making. Those that offer easy living, innovative working spaces, strong transportation links, updated technology, and a strong sense of community have been drawing people out of the city. The world trend of growing cities takes academic and financial focus away from rural settlements. According to data from the UN, 66% of the world is predicted to be living in towns and cities by 2050. In terms of Britain, it translates to only 8 million living in the countryside versus a staggering 65 million in the cities by 2050. Whilst urbanisation boasts a host of benefits, such as economic and social growth, increased life expectancy, improved education and literacy rates, unsustainable growth can lead to negative consequences such as inequality in living conditions, pollution, and urban sprawl to name a few. Further increasing the consequences, London must build 66,000 new homes a year to keep up with its growing backlog. In a government study spanning 2013-14, an internal migration of 60,000 people was recorded, most of which were moving to rural areas. Reasons cited were safety, space, and community. Technology’s effect on communication, shopping, working, broadband and mobile signal in rural areas has allowed a revitalisation of villages. As a result, rural England has a growing business sector, with a quarter of all companies registered residing there. Areas in highest demand are the South East, South West and North West, particularly around London. The ideal village for those exiting the city combines old and new: featuring churches, schools, pubs, shops a village green, while also proving innovative housing, start-up space, strong mobile and broadband connections, and accessible transportation links. 17% would consider housing in the private rented sector. Demand is rising for these types of homes with families taking longer to form, student debt growing, and deposits becoming more difficult to raise. 27% chose mixed communities within a village, catering to retirees. This would offer the best of both worlds: access to private gyms and facilities, along with access to traditional country side experiences such as village fairs and farmer’s markets. 41% chose a house that supported healthy eating and an active lifestyle. These are homes that incorporate the outdoors, reduce noise pollution, and feature stimulating spaces. With careful planning, development and investment, rural England is set for a massive revival. As cities become increasingly difficult to live in, villages seem to be the future for anyone from Baby Boomers to young entrepreneurs. The question is no longer when people will start to move out of congested cities, but rather when will villages modernize to meet the newfound demand.